Miami Lakes, Florida, and Dallas, Texas – The Kislak Organization, a national real estate investment firm headquartered in Miami Lakes, Florida, has sold Three60 North Apartments in Grand Prairie, Texas. Built in 1984, the 348-unit garden-style apartment community was known as The Fairways Apartments when Kislak purchased it in March 2014. Kislak focused on improving operations and management, and rebranded the property as Three60 North Apartments in mid-2015. 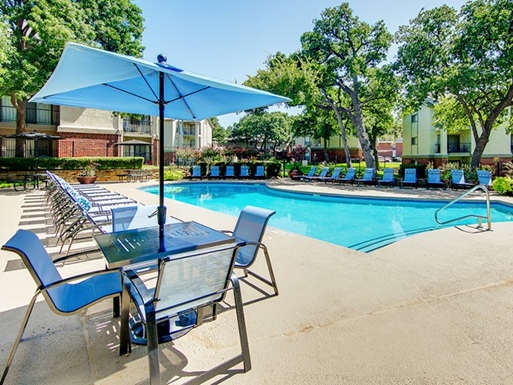 Kislak recently sold Three60 North Apartments in Grand Prairie, Texas. Since June of last year, Kislak has acquired two multifamily properties in the popular Uptown neighborhood: McKinney Uptown Apartments and Routh Street Flats. With these two properties and The Arbors of Las Colinas in Irving, the Kislak portfolio includes 760 units in the Dallas-Fort Worth market. Moran and Company Southwest represented Kislak in the sale.